NMWIG volunteers are the backbone of all we do. 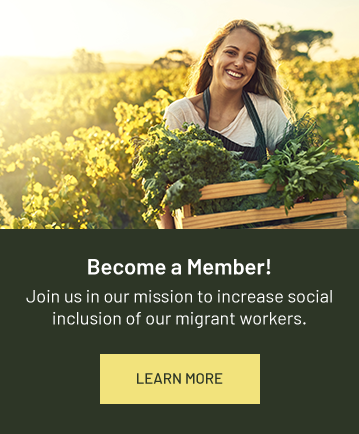 Interested in working with us to support Migrant Workers in Niagara? We'd love to hear from you! Volunteers are vital to the success of our initiatives! Complete the form below. After we receive your application form, we will review it and contact you about volunteering opportunities. Do you have any other special skills that you would like us to know about?